Just days after Carol Bartz left Yahoo one of the company’s largest shareholders Daniel Loeb is demanded that the company overhaul it’s board because the directors have made “serious misjudgments” which have “destroyed value” for shareholders. 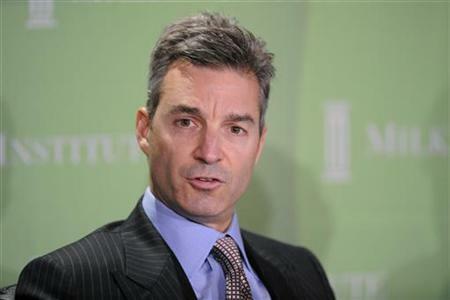 Loeb is the CEO of hudge fund Third Point LLC which currently controls nearly 5 percent of Yahoo shares. In his letter he specifically called for the resignation of Charman Roy Bostock, the man responsible for removing Carol Bartz, along with directors Arthur Kern, Vyomesh Joshi and Susan James. Third Point directors have been holding discussions of their own to find potential replacements for director roles at Yahoo. Directors at Yahoo say they plan to replace Bartz on their own. Microsoft offered to purchase Yahoo in 2008 for $31 per share, those same shares are now worth $14.44 on the Nasdaq as of today’s end of trading. Do you think Yahoo needs to be fully reorganized from the top down?